The Yellowhammer is a beautiful bird, often seen on telephone wires along the road. There it sings its characteristic song, usually a 5-8 times repeated sisisi and then followed by a longer suuu. The Yellowhammer has a yellow head, the Siskin has a black crown. 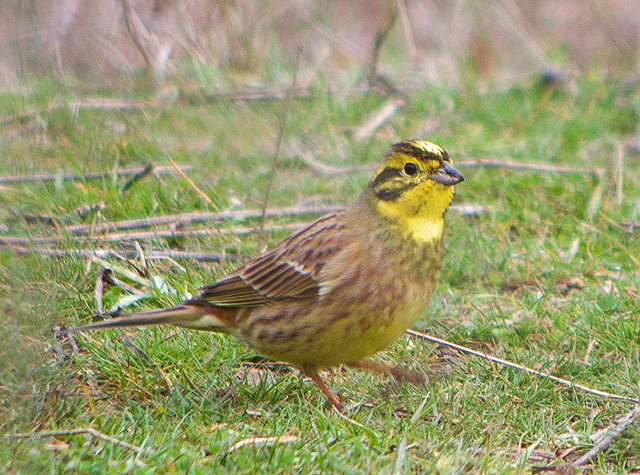 The wings of the Yellowhammer are brown, the Siskin has a yellow stripe on them. The Yellowhammer is much more brown. The Greenfinch combines yellow and green. 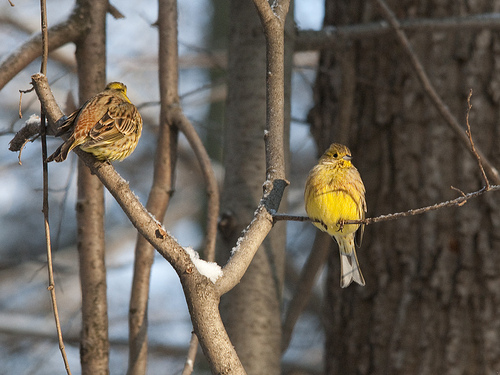 The back, rump and tail of the Yellowhammer are brown, the Serin has a yellow rump.